Akash Ambani and Shloka Mehta's post-wedding bash has been organised a day before the official reception on Monday. Akash Ambani-Shloka Mehta Wedding Celebration: The couple in Mumbai today. Celebrities and politicians arrived at the Jio World Complex in Mumbai for a post-wedding celebration for Akash Ambani and Shloka Mehta who were married in a glittering ceremony on Saturday. Bollywood stars Amitabh Bachchan, Rekha, Akshay Kumar and wife Twinkle Khanna, Juhi Chawla, Aishwarya Rai Bachchan and Abhishek Bachchan, with their daughter Aaradhya, cricket legend Sachin Tendulkar and his wife Anjali Tendulkar, musician Anu Malik and his family are among those who were seen at the event. Actor Shilpa Shetty and husband Raj Kundra, producer Vidhu Vinod Chopra and wife Anupama Chopra, filmmaker Farah Khan, censor board chief Prasoon Joshi, Shiv Sena's Raj Thackeray and his wife Sharmila Thackeray and interior designer Sussanne Khan and her parents also made an appearance. 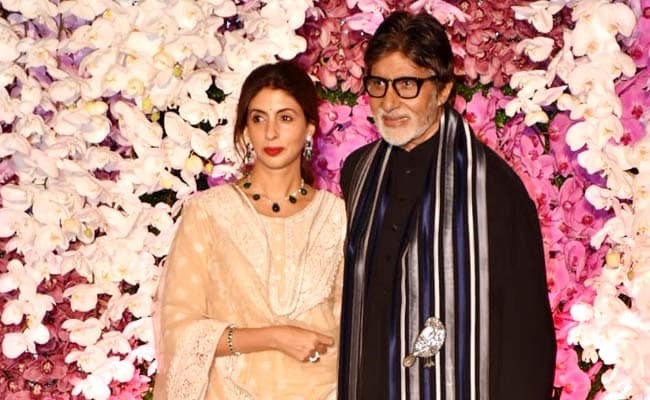 Amitabh Bachchan with daughter Shweta Nanda at the Akash Ambani and Shloka Mehta post-wedding celebration. The post-wedding bash has been organised a day before the official reception to be held tomorrow. 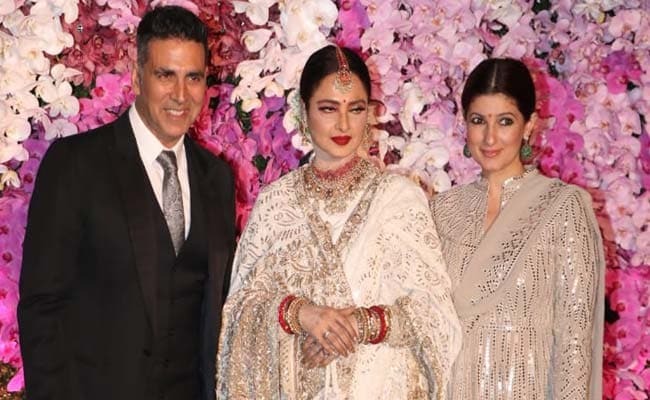 Akshay Kumar with actor Rekha and his wife Twinkle Khanna at the Akash Ambani and Shloka Mehta post-wedding celebration. On Saturday, international celebrities including film stars, company executives, politicians and sports personalities descended on Mumbai for the wedding ceremony of the son of Akash Ambani and Shloka Mehta. Akash is the oldest son of India's wealthiest man and Reliance Industries boss, Mukesh Ambani. The bride, Shloka Mehta, is the daughter of Russell Mehta, a wealthy diamond merchant and managing director of family-owned company Rosy Blue. 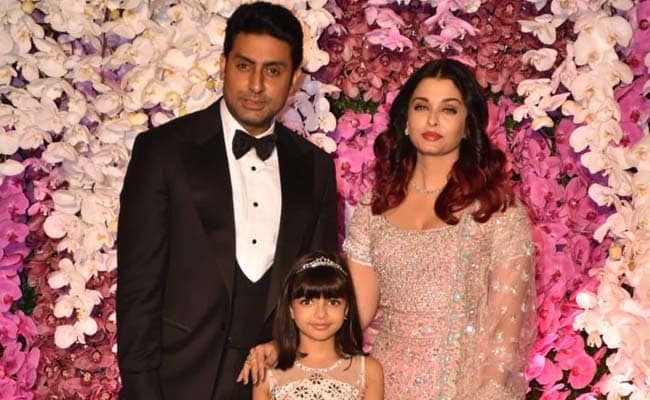 Actor couple Abhishek Bachchan and Aishwarya Rai Bachchan at the Akash Ambani and Shloka Mehta post-wedding celebration. Actor Juhi Chawla at the at the Akash Ambani and Shloka Mehta post-wedding celebration. Superstars Shah Rukh Khan and Ranbir Kapoor were seen dancing with the bridegroom Akash Ambani and plenty of Indians shared photos on social media with #AkashAmbani and #AkashShlokaWedding among the top trending hashtags in India. 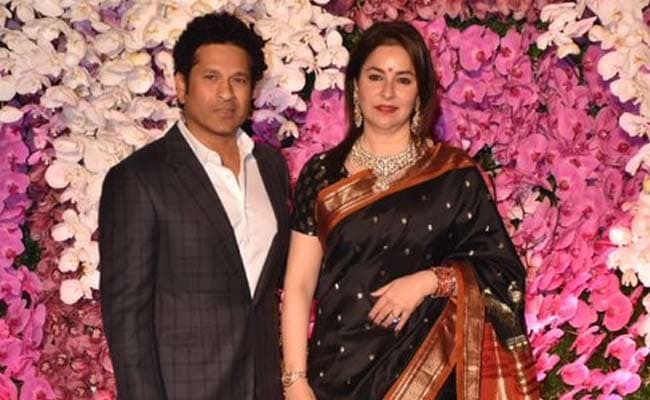 Sachin Tendulkar with wife Anjali Tendulkar at the Akash Ambani and Shloka Mehta post-wedding celebration. Celebrations began in Mumbai with feasts, singing and dancing, and other pre-wedding rituals, for the wedding between the two 28-year-olds. Photos on Twitter showed elaborate floral decorations and celebrities posing on a lawn before the wedding. 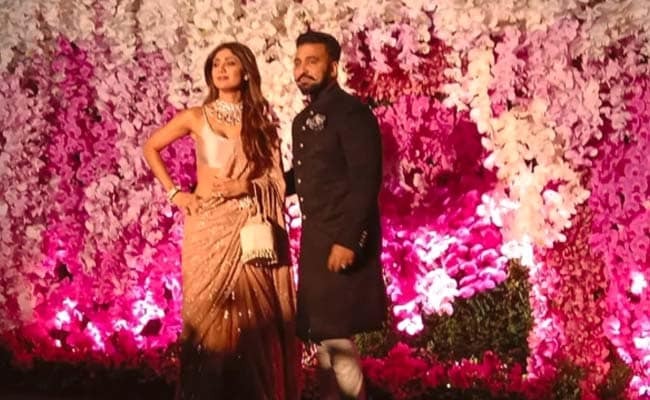 Shilpa Shetty and her husband Raj Kundra at the Akash Ambani and Shloka Mehta post-wedding celebration. Mukesh Ambani, his wife Nita and the bridegroom wore various shades of pink. 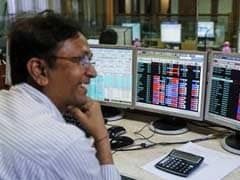 Mr Ambani, whose business empire spans oil and gas, telecoms and retail, is Asia's richest man and the world's 13th most wealthiest according to Forbes magazine, with his wealth estimated at $50 billion.